Today is 15th of January in Chinese calendar. We call it ‘Yuan xiao jie’ as in ‘rice ball festival’, or another name ‘lantern festival’. So needless to say, there are two main celebrations, one is to eat rice balls, another one is to see the lantern exhibitions. It is said that this festival started over 2000 years ago on the first full moon day in the new year. (In Chinese calendar, on the 15th and 16th each month, the moon is the fullest.) But custom of lightening up the lanterns started later, with the introduction of Buddhism in China — every 15th of January lightening up the lanterns for the Buddhas. People also took this time to express their wishes. Since Tang dynasty, lightening up the lanterns became more and more popular, and it eventually became an important ‘carnival’ in China — all the streets were lightened up by lanterns, and people would go out to see (or we say ‘to appreciate’ the lanterns). Since then, not only the designs of the lanterns had more varieties, but also, people started putting some riddles or a line of poem on the lanterns, so others could try to get the answer or complete the poem. And along with the lanterns, there were also some performances as well. This custom continues till today. 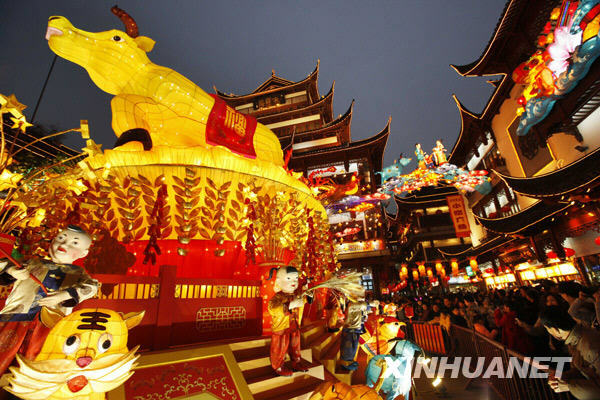 Every year, around this time, there will be a few main lantern exhibitions and performances in each city. I still remember going there with my parents and my little brother, sometimes it could be crowded to move. But all different styles of lantern are very interesting. Especially in the North of China, (I am talking about the “real North”, the three provinces in the northeast), many lanterns are made with ice, so it is also the combination of ice sculpture and lantern light — very beautiful and very different (see the picture below). 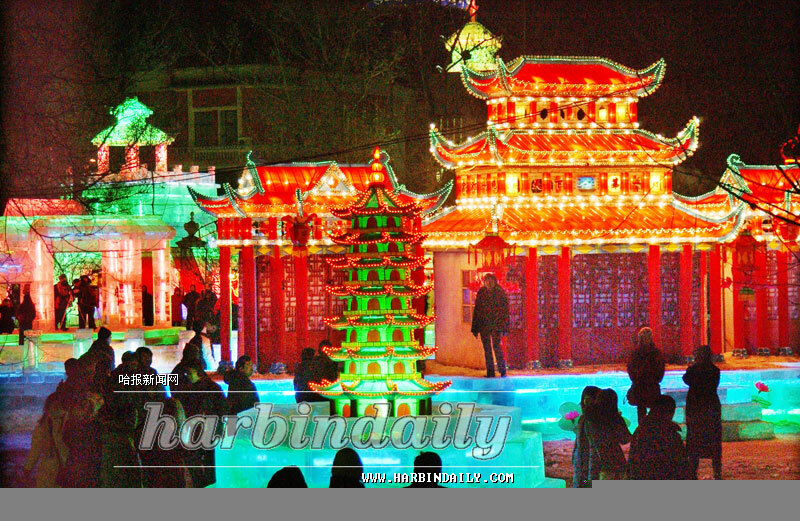 It is said that in the northern city Ha’er Bin, there is a fun park completely built up with ice, which attracts thousands of visitors every day in the cold winter. The exhibition normally last around a month or until the weather is getting warmer, and the ice is about to melt. Another celebration for this festival is the food — rice balls with different fillings. That is where the other name of this festival ‘Yuan Xiao jie’ comes from. The fillings can be, for example, red beans, dried fruits, peanuts, or mix nuts. The pastry is made from glutinous rice flour, and made into around 4cm diameter small balls. Normally they are boiled in water and served with a bit ‘soup’ from the boiling. However, the name ‘Yuan Xiao’ is for the northern style rice ball, where in southern China, it is called ‘Tang Yuan’. They look almost identical, but there are some differences between the two. Firstly, for the northern style rice ball, the central filling is made first, then is placed into a ‘tray’ where there is spread with the glutinous rice flour. And if you ‘move’ the tray around, gradually the filling will roll with with the rice flour, eventually make it into a rice ball. — I remember my most beloved auntie used to do this for us every new year. 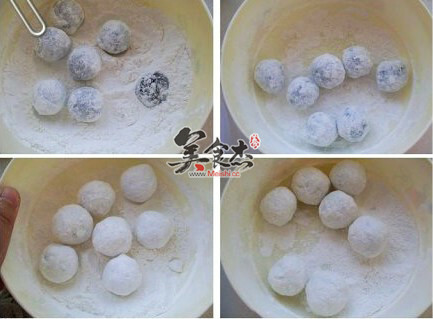 However, for the southern style rice ball, the pastry with glutinous rice flour is prepared first, and made it into a small round sheet, then the filling is placed in the centre, and the pastry sheet is folded up to make it into a rice ball. The rice ball made this way is more ‘sticky’ than the northern style. The difference also shows in the different ways of cooking. Although northern style of rice ball can be boiled same as southern rice ball, it is also common to deep fry the rice ball, to make it crispy on the surface but soft in the underneath layer — which is my favorite. I really wanted to make a homemade northern style rice ball and share with you here, but … I have never done it before, only saw my auntie doing it. So eventually I gave up. I will try for sure in the future. :)) Instead, I just bought some from the supermarket, where I can only get Southern style rice balls. Happy ‘Yuan Xiao festival’ — the last day of the Chinese new year celebration!! Last night, I received a long phone call from a friend who was having very bad homesick during this festival time. :( — Don’t we all?